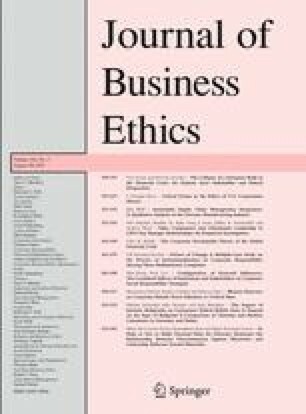 This article introduces a theoretical framework that combines institutional and stakeholder theories to explain how firms choose their corporate social responsibility (CSR) strategy. Organizational researchers have identified several distinct CSR strategies (e.g., obstructionist, defensive, accommodative, and proactive), but did not explain the sources of divergence. This article argues that the divergence comes from the variability in the configuration of external influences that consists of institutional and stakeholder pressures. While institutions affect firms’ social behavior by shaping the macro-level incentive structure and sources of legitimacy (distal mechanisms), firms’ stakeholders can amplify or buffer the institutional forces by acting as mediators (proximate mechanisms). The two dimensions are interdependent in that stakeholders draw legitimacy and power from institutions, and institutions are often actualized through stakeholder mechanisms. Together, they form a particular configuration of external influences that shapes how focal firms construct their CSR strategy. Ruckelshaus, W. D. (1993). William D. Ruckelshaus: Oral History Interview. Retrieved from http://www.epa.gov/history/publications/print/ruck.htm. 1.Department of Management and Organization, College of Business AdministrationUniversity of South FloridaTampaU.S.A.